To be globally competitive, these hubs must learn to carefully manage growth impacts. Cities grow up so fast these days. Thirty years ago, Astana in Kazakhstan was an obscure regional trading hub. In 2017, it will host the World Expo, the same event that Shanghai hosted in 2010. How did this happen? Astana is part of a global club of fast-growing secondary cities making their mark on the changing global economy. Some are working hard to earn it, while others just got lucky. Astana’s growth resembles that of many secondary cities experiencing of late high population growth and booming economies. According to the Organisation for Economic Co-operation and Development, 43 per cent of the economic growth in member countries between 1995 and 2007 was driven by secondary cities. This trend is likely to continue as primary cities become congested, polluted and expensive. According to United Nations projections, 86.5 per cent of the world’s increase in urban population between 2011 and 2050 will occur in Asia and Africa; 6.2 per cent will be in Europe and North America. Urban growth in Asia will be one of the next century’s biggest trends. Additionally, 86.4 per cent of the world’s urban population in 2025 – four billion people – will live in cities with populations under 10 million. This means that great responsibilities and opportunities face government leaders in places such as China, India and Brazil as secondary cities rise in prominence. Secondary cities with the best growth potential will develop ports and communications infrastructure, connecting them with the world. Proximity to emerging consumer markets in inland regions will also boost secondary city growth. Zhengzhou in China is an example of an emerging secondary city with network infrastructure and a strategic location. As a transportation hub and inland commercial centre, the city experienced GDP (gross domestic product) growth of 11.8 per cent in 2012 and is embarking on an ambitious development plan for housing, technology and industry centred on airport connectivity. 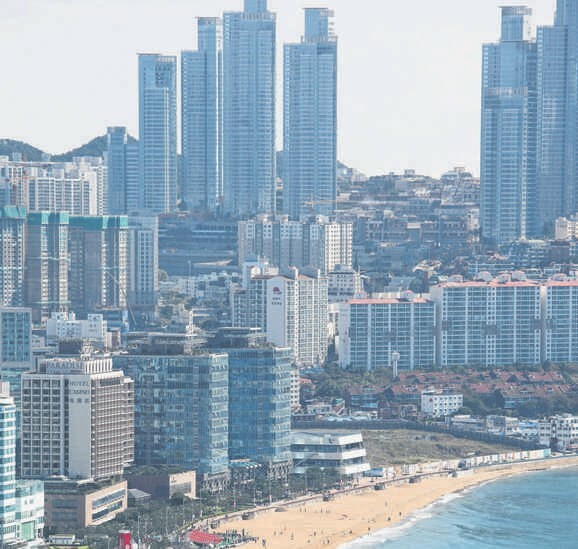 Secondary cities in mature economies, such as Kaohsiung in Taiwan and Busan in South Korea, also have growth potential as they shift from manufacturing to innovation and knowledge industries. These cities are following the development path of mid-sized American cities such as Austin, Texas and Raleigh, North Carolina, which are success stories bucking the trend of a sluggish nationwide economy. In the modern economy, networks matter as much or more than population size. But network infrastructure is not enough. Cities have a variety of ways to boost network potential, such as investing in education, developing a business-friendly environment and enhancing urban livability. Cities can also take advantage of strategic locations and global brand perception (for example, a city known for history, natural beauty or entertainment). Hangzhou in China has developed a vibrant cultural and creative industry that ranks third in value-added behind Beijing and Shanghai. One of the forces driving the city’s creative industry is education. In 2009, Hangzhou had a gross higher education enrolment rate of 53 per cent, compared to 24 per cent nationwide. The city is also a famous tourist destination and enjoys proximity to highly populated consumer markets. However, secondary cities must quickly learn to manage growth impacts carefully in order to be globally competitive. They face challenges and opportunities in three broad areas – physical growth, governance and social change. First, the population of secondary cities is growing faster than that of primary cities, and this puts pressure on over-used infrastructure and service systems. Development of roads, public transport and social development facilities (education, health and communication) may not be fast enough to serve growing demand. Secondary cities will need to find innovative ways to solve the capacity crunch quickly. One example is bus rapid transit (BRT), which is cheaper and faster to install than subway lines. Bogota’s TransMilenio BRT, opened in 2000, has been hailed by users as efficient, and by global analysts as an exemplar of sustainable transportation planning. A similar BRT system was introduced in Guangzhou in 2010, and is now the world’s second largest. Fast economic growth can also pressure urban planners to authorise unwise development, leading to urban sprawl, congestion and environmental degradation. For example, in Chachoengsao, a rural community near Bangkok, urbanised industrialization is encroaching on agricultural land, depleting water tables and endangering a delicate ecological balance at the mouth of the Bang Pakong River. Similar agricultural land degradation has occurred around the urban periphery of Saharanpur in India and Yuhang in China. Rather than growing haphazardly, secondary cities can ensure sustainable growth by learning from the failures of 20th-century industrial cities in the West. Compact development, good governance, green technology and environmental protection will be the new competitive advantage for secondary cities. Second, good leadership is critical to managing growth, and many secondary cities will need to ramp up government capacity. Local governments need expert knowledge to handle unforeseen growth, especially when committing to long-term policies and investments. Partnerships with other cities and the private sector are ways secondary cities can acquire expertise quickly. Additionally, secondary cities must have political influence at the national level in order to attract necessary funding for infrastructure and other public projects. The fiscal crisis facing many municipalities – caused by the global credit crunch and unpredictable tax revenues – makes secondary cities more reliant on central governments for funding. Secondary cities must grab policy and media attention away from often favoured principal cities in order to build for accelerated growth. This will be a difficult task since political and business leaders, professionals with management and technical expertise, and media are mostly concentrated in principal cities. In Campinas, Brazil’s “Silicon Valley”, entrepreneurs have been the lifeblood of economic growth. Policymakers are courting startups with tax incentives and streamlining bureaucracy through the Corporate Open Door programme. This boosts an industry that constitutes 4.5 per cent of Brazil’s economy. Finally, many secondary cities will experience social change due to rising wages and immigration of skilled workers. Policymakers should encourage and plan for such changes. Social, ethnic, religious and ideological diversity is a hallmark of all primary world cities and secondary cities should aspire to this. Cities in countries with responsive and inclusive social policies will be more globally competitive. Secondary cities must also address migration of economically disadvantaged workers, in terms of health, housing and education/training. Cities that ignore the needs of migrant service workers and labourers will experience higher inequality, threatening social harmony. China’s hukou system has long made rural-to-urban migration difficult for workers and families. Chengdu, a fast-growing inland Chinese city, has introduced reforms to this system. These aim to improve access to social services by rural residents migrating for work, and can serve as an example for other Chinese cities. Bigger often may not be better. The primary cities of the developing world face complex challenges that accompany over-population, poor planning, neglected infrastructure development and environmental degradation. Knowledge industry employees living in primary cities must endure congestion, pollution, crime and high cost of living. Secondary cities that offer the same advantages of primary cities, given the appropriate infrastructure and services, will attract growth in knowledge industries and help countries position themselves competitively in the new global economy. Asit K Biswas is the distinguished visiting professor, Lee Kuan Yew School of Public Policy and co-founder of the Third World Centre for Water Management. Kris Hartley is a researcher at the Lee Kuan Yew School of Public Policy.